What role should the state of Illinois have in private school education? Attached to the historic education funding reform bill passed both by the Illinois House and Senate is a new five-year pilot program designed to take donated funds from individuals or corporations and use them to subsidize student tuition for low-income families at private schools. The $75 million endeavor is known as a tax credit scholarship program, and it was controversial enough here in Illinois to nearly kill the entire reform bill on its own. The program, which caps individual donations at $1 million per year, is set to begin next school year. Teachers unions and public school advocates say it’s simply a voucher program disguised under another name that pulls students and funding from local public schools, while proponents see it as an opportunity to expand school choice options for low-income families. Here’s how these programs look, both in Illinois and around the country. Vouchers in the U.S. have been around for several decades – perhaps even more than a century – while tax credit scholarships first popped up in the late 1990s. The two systems, while similar at face value, include distinct legal differences. Let’s say, for example, an Illinois taxpayer owes the state $1,000. Under a voucher system, the state collects that money, puts a portion of it into a general fund and issues it as a voucher to eligible parents (more on this below), who then sign it over as a tuition payment to a private or parochial school. Simply put, the money goes from taxpayer to the state and then to the school. But in a tax credit program, the taxpayer can make a donation in the amount owed to a nonprofit organization – sometimes referred to as a Student Tuition Organization, or STO – which then takes that money, packages it as a scholarship and gives it to parents to use at private or parochial schools. Businesses can also make donations – the program is not limited to individuals. The donor then gets a tax credit based on the state’s set rate. In Illinois it will be 75 percent (in other states it can be as high as 100 percent). So the taxpayer who owes $1,000 and makes a donation in that amount to an STO would still owe $250 in taxes to the state, but would receive a tax credit for the remaining $750. The important distinction here is who’s handling the tax money. STOs can be set up by the schools themselves and can incorporate multiple schools. Illinois’ plan is similar to those in Georgia and Arizona in that they allow donations to be directed toward specific schools. Illinois began offering tax credits of up to $500 to families in both public and private schools for “educational expenses” – not specifically scholarships or vouchers – nearly two decades ago. The Illinois Federation of Teachers and the Illinois Education Association each challenged that law upon its passage in 1999, but the program was deemed constitutional in multiple court rulings. As for tax credit scholarship programs, they’ve fared well in the courts. Those amendments have been successful in stopping vouchers in other states in the past, as have other legal challenges. For instance, the Florida Supreme Court in 2006 ruled a voucher program violated its state constitution. But tax credit scholarships don’t expressly use public funds as tuition, so they don’t face the same legal scrutiny. In June, the state Supreme Court in Georgia – another state with a Blaine Amendment – ruled its own tax credit scholarship program is constitutional. So while a straight voucher system – which sends state dollars to private or parochial schools – could be challenged under Illinois law, a tax credit system would likely pass the legal test. Do they improve student outcomes? Seventeen states currently employ some sort of tax credit scholarship system, according to EdChoice. But recent evidence that these subsidies actually help students perform better in the classroom has not been strong, according to Welner. In fact, recent studies have shown just the opposite. Just last month, the Brookings Institution – an oft-cited nonprofit think tank in Washington, D.C. – looked at recent studies of private scholarship programs in D.C., Louisiana, Ohio and Indiana. All four saw declines in student achievement. For instance, in Washington, students were administered the TerraNova standardized test both at the time they applied for their voucher, and again one year later. The study found students scored lower on both reading and math portions after a year (but only in math was the drop considered “statistically significant”). In Louisiana, a separate study by the Education Research Alliance for New Orleans found “strong and consistent evidence” that scholarship students performed significantly worse in math after switching to private schools. Ironically, that report found Louisiana’s public schools may have actually benefitted from the scholarship program. Other studies have found that achievement does eventually improve if students continue in private schools for longer periods of time, and that these scholarships have also been shown to improve graduation rates. EdChoice also keeps a list of random assignment studies that show voucher programs typically have neutral-to-positive impacts on students. Like everything else in these programs, that’s up to each individual state. In Illinois, students will be scholarship-eligible if their household earns less than 300 percent of the federal poverty level (about $73,000 for a household of four) or less than 400 percent (just over $97,000) if the student had previously received a scholarship. In Florida, that limit is set at 260 percent of the FPL, and also includes all children who have been placed in foster care within the past year. Louisiana offers scholarships based on a lottery system, and students there are still required to take state-administered math and language arts tests. But as Welner notes, there’s a balancing act that’s needed. While the lowest income families are eligible for scholarships, it’s the families on the higher end of that poverty threshold who are more likely to participate in these programs. In Illinois, the average tuition at private high schools is $12,273, and $5,969 for elementary schools, according to Private School Review. If an eligible family making, say, $50,000 per year receives a scholarship that doesn’t cover the full price tag to attend a private school, would they still be able to cover the remaining cost of tuition? Louisiana deals with this by requiring participating private schools to accept a student’s scholarship as full tuition, even if it doesn’t cover the actual cost of tuition. Illinois’ plan would prorate the scholarships, giving more money to students from the lowest income homes. So Illinois families below 185 percent of the federal poverty level would receive a full scholarship; families between 186 and 250 percent of the FPL would get 75 percent of the scholarship value; and eligible families above that level would receive 50 percent. But elsewhere, Welner said it’s not uncommon to see corresponding tuition hikes at private schools once these programs are introduced. What are the impacts and benefits? The main benefit, advocates say, is that it gives parents and students more options. 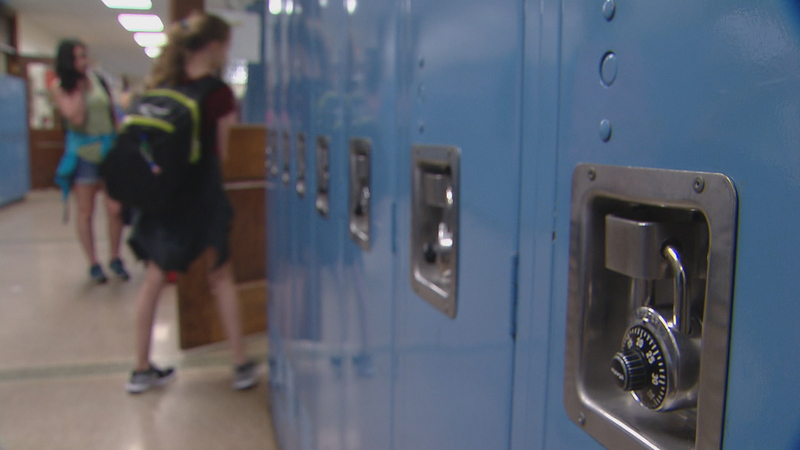 Bedrick said no state that has ever enacted a school choice program has legislatively repealed it, and he believes Illinois families will demand more options when the pilot program sunsets. Of course, any program that draws students away from public schools will lead to fewer dollars spent in public schools. Illinois generally funds schools on a per-pupil basis, so fewer students equals less funding. Welner said some states have included a hold harmless in their scholarship plans to “cushion the blow” so public school districts would continue to get at least some of the money they had gotten previously, but that doesn’t solve everything. “The argument is, school districts don’t need money to serve students who aren’t there,” he said. “It really does depend on the school district. June 7: The Democrat-backed bill would increase state funding to every public school district in the state. But it still faces an uncertain future as critics chide what they see as preferential treatment for Chicago Public Schools.